Discover Scotland’s lochs, glens and mountains on foot and by rail. Cross Glenfinnan Viaduct on the Jacobite Steam Train - the ‘Hogwarts Express’. Explore the rugged and romantic Isle of Skye, and walking the Great Glen. 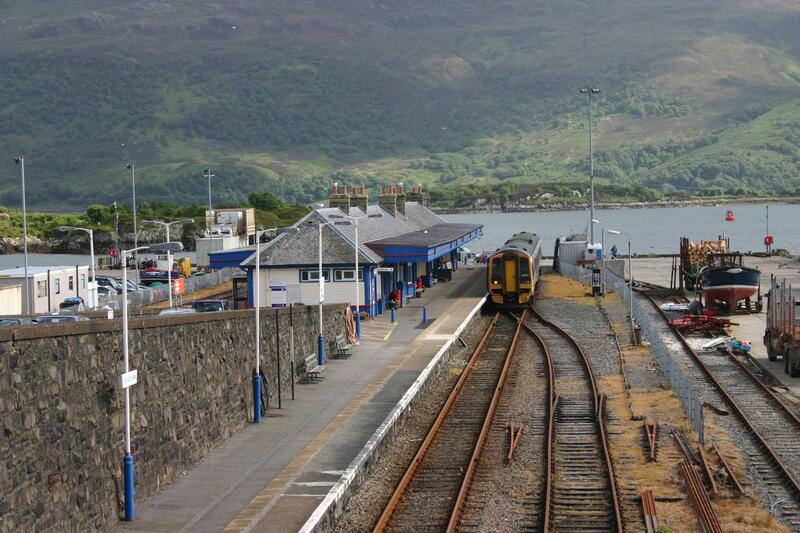 Ride the remote North Highland Line from Inverness to Kyle of Lochalsh. Get to know the hosts of our hand-picked small hotels and guesthouses. 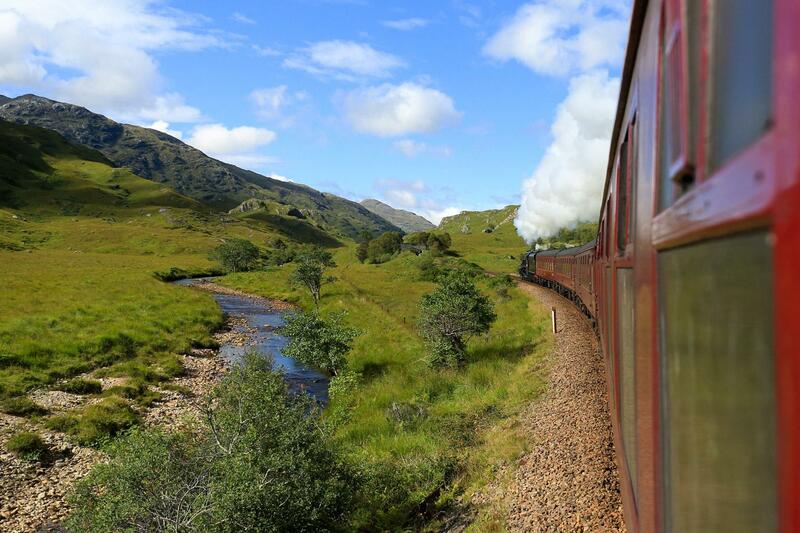 Ride the iconic West Highland Line on the Jacobite steam train, the ’Hogwarts Express’, as well as the as North Highland Line, one of Britain’s most remote and spectacular, between Inverness and Kyle of Lochalsh, gateway to Skye. Relax as you speed past brooding lochs, leafy glens and rugged mountains. What’s more, you’ve some rewarding hikes included, as well as time to explore castles, ancient battlefields, Loch Ness, distilleries and centuries-old Highland estates. If you'd like to treat yourselves to something really special, then take a look at our Luxury Highlands & Isle of Skye tour, which stays in boutique properties, including lodges and castle hotels. 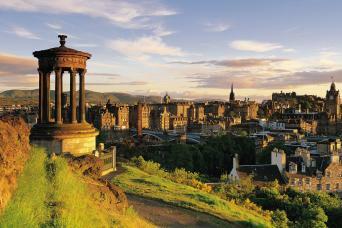 Your rail and hike adventure through Scotland starts in the majestic capital of Edinburgh. Jump on board your first train which whisks you away into the Highlands to charming Blair Atholl (2hrs approx.). Settle into your cosy B&B for a two night stay; the ideal base from which to explore. After a hearty Scottish breakfast explore the idyllic Atholl Estates. Follow paths that meander through woodland and heather-clad hills surrounding Blair Castle, the historic home of the Earls and Dukes of Atholl and dating from the 1200s. Alternatively, take a lovely 9 mile riverside walk to the quaint and popular town of Pitlochry, returning by local bus. Walk: Up to 13 miles (21km), minimal ascent/descent. An early start today (1h30 train ride) will give you plenty of time to discover Inverness. 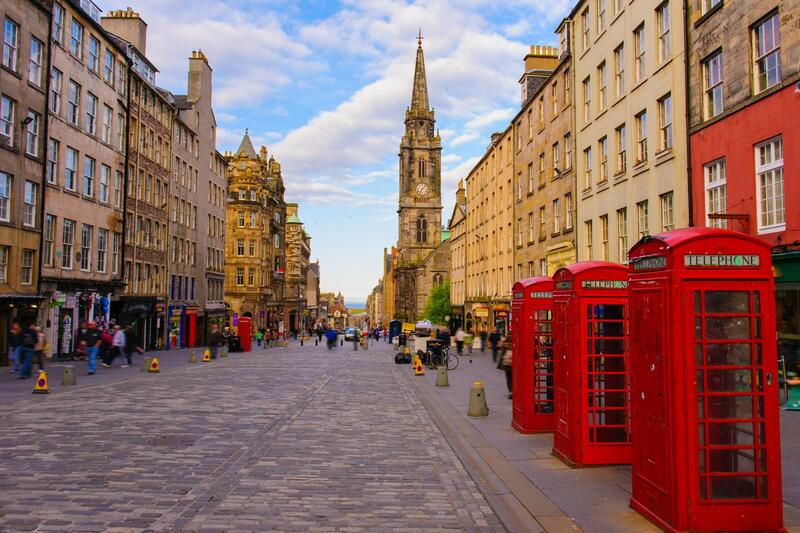 This friendly city has several of Scotland’s star attractions close by. 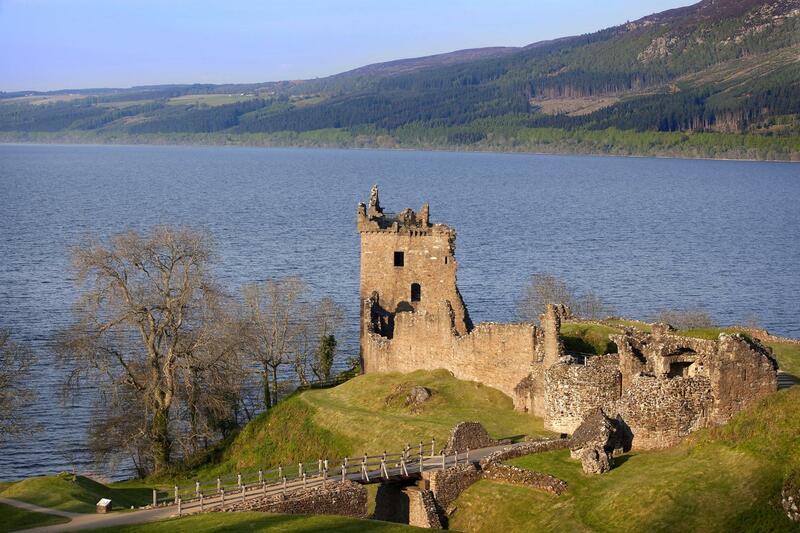 Visit Loch Ness and Urquhart Castle on an optional day trip by boat and coach, or the Culloden Battlefield exhibition, scene of the last Jacobite uprising in 1745, is an easy bus ride away. If you’d prefer to stretch your legs, set out on a superb loop walk along the peaceful River Ness and Caledonian Canal. Sit back and relax as you depart Inverness on the iconic North Highland Line, a stunningly scenic journey alongside remote lochs, glens and mountains to the seaside station of Kyle of Lochalsh (2h30). Here you change for a bus (payable locally) which carries you over the Skye bridge to the isle itself and on to Portree (1hr) your base on Skye. The colourful waterfront houses of Portree harbour adorn many a picture postcard. Today you’re free to wander around this delightful Highland town, or you could take a bus journey (25 mins, payable locally) to The Storr; a rocky hill on the Trotternish peninsula. From here, it’s a rewarding 8 mile walk along the coast back to Portree. 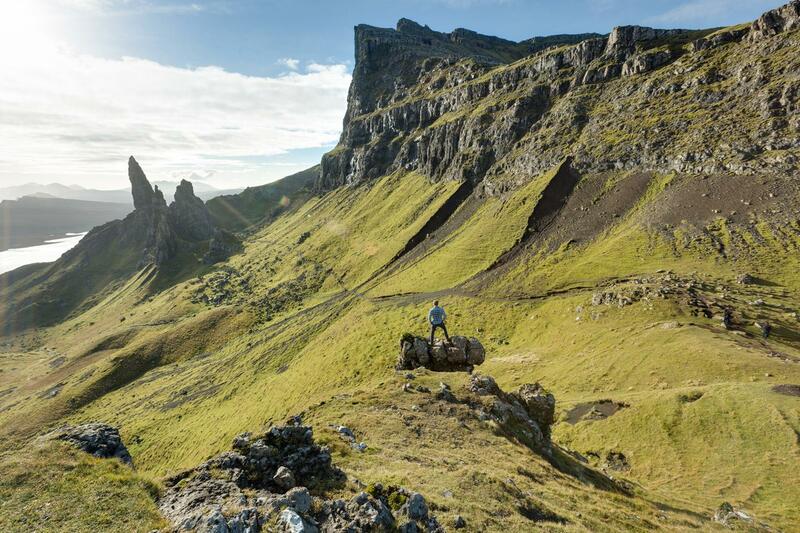 Alternatively, take a day trip around the Isle of Skye (supplement payable), taking in the brooding black and red peaks of the Cuillins, Talisker Distillery, and the rock pinnacle of the Quiraing. 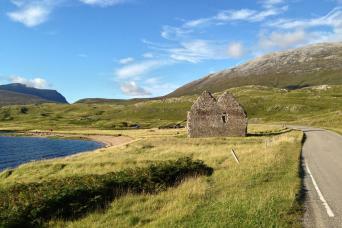 Calmac also operates a ferry service from nearby Sconser to Raasay if you prefer to explore one of the islands. You can look forward to many memorable travel experiences today! First, take a scenic bus ride (1hr, payable locally) to Armadale, where you catch the trusty Calmac ferry (30 mins) to Mallaig. Arriving back on the mainland, its time for a highlight of your adventure—the Jacobite steam train. 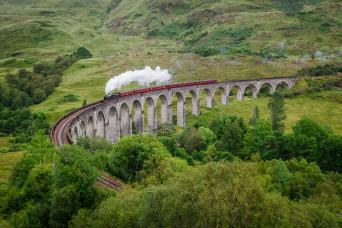 The ’Hogwarts Express’ winds its way past pristine beaches and mountain panoramas, passing over the Glenfinnan viaduct to arrive at the lochside town of Fort William (2h50). Enjoy a lovely walk today, with views of Britain’s tallest mountain, Ben Nevis, and you’ll also enjoy the impressive eight locks of Neptune’s Staircase along the Caledonian Canal. Take in the impressive panorama of the Commando Memorial, as you make your way to Spean Bridge. The trail begins with an easy walk along the canal, heading up the Great Glen and through woodland that is home to red squirrels. Get ready for yet another of Britain’s most scenic railway journeys as you travel south on the classic West Highland Line. Soak up the last of the Highland scenery from your seat as you speed through the fertile Great Glen to Rannoch Moor, a remote plateau at 300m above sea level. This is a wild landscape of peat bogs, lochans and ancient forests, home now to herds of red deer. Your delightful 3h30 journey ends in the vibrant city of Glasgow, from where you can make your onward journey. Accommodation tonight in Glasgow is not included, however please contact us should you wish us to make arrangements for you. 7 nights accommodation is included in hand-picked small hotels, B&B’s or guesthouses, of a 3-star standard. We carefully select small and friendly accommodation that offers great value, food and welcomes. The properties we normally use are detailed in the itinerary, however are subject to availability and therefore alternatives of an equal standard may be offered. You can add extra nights at any point during your stay, and we particularly recommend doing so in Edinburgh and Glasgow as there is so much to see and do —please contact us for details. If you would prefer a little extra luxury whilst in Blair Atholl, Inverness, on Skye, Fort William/Spean Bridge you can upgrade to 'In Style' properties. For this option we use a selection of country hotels, luxury bed and breakfasts and country inns of character. Breakfast is included each morning while lunch and dinner are not included so you are free to choose from the available options. Your accommodation will be more than happy to provide a packed lunch on request and this can be booked on arrival, alternatively you can stop at local shops and convenient lunch stops on the way. Dinner is available either at your accommodation or nearby pubs and restaurants. A traditional Scottish Highland hotel, almost adjacent to the entrance of Blair Castle, next to the railway station. Each of the 31 bedrooms is decorated in a unique tartan. There is a Baronial Dining Room, complete with minstrels' gallery, as well as a charming 'Bothy Bar'. Dugie and Fiona run this characterful and charming guest house, situated within walking distance of the town centre. There is free WiFi and guests can enjoy a hot tub and sauna (extra charge). Ruth and Allan are your friendly hosts at Duirinish B&B, located just a five minute walk from the lively town centre of Portree. Enjoy complimentary in-room tea and coffee-making facilities, and there is WiFi for guests. This modern eight-room property is located just a five minute walk from the train station and town centre. Rooms are modern and bright, and there is free WiFi for guests. Spean Lodge is a lovely historic highland lodge set in woodland above the River Spean, just a 5 mins walk from the train station. Cosy rooms have William Morris furnishings, tea and coffee making facilities and free WiFi. Relax in the comfortable guest lounge. 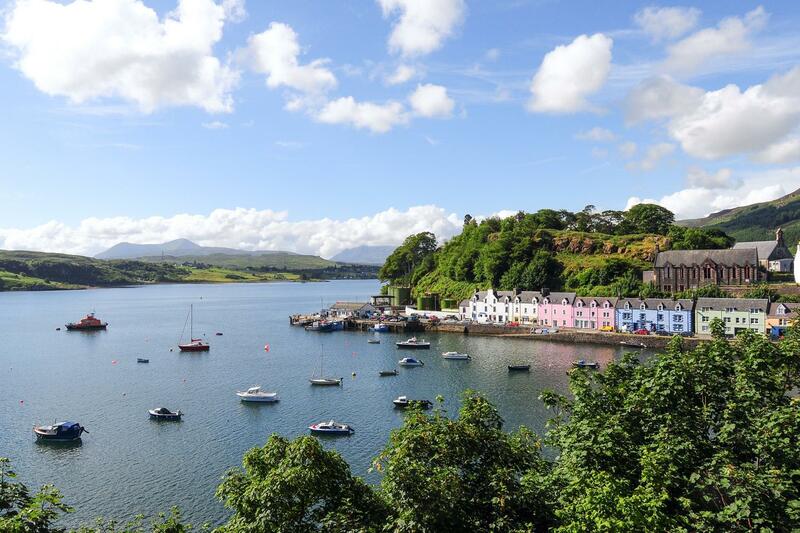 Our Skye trips are firm favourites among our clients so this year to better ensure Macs guests can enjoy time on the island we have some guaranteed availability in the colourful seaside village of Portree in July and August. Contact our team for more details! This trip is available between mid-May and mid-October. Start dates are dictated by operational timetables of the Jacobite Steam Train. This trip is graded easy to moderate and includes daily walks of up to 12 miles (Day 7). As all walks are self-guided, you will be responsible for navigation, decision-making and safety during your trip. The terrain may be rugged underfoot with some hills but not too strenuous. You should enjoy a good level of fitness to make the most of this trip. The majority of the walks suggested on this trip (with the exception of Skye) are waymarked and we supply you with maps and route notes so you can easily find your way. all your baggage with you aboard the train/bus. You can book optional day trips from both Inverness (exploring Loch Ness) and Portree (exploring Skye). These are optional extras and are not included in tour arrangements, as you can either enjoy a suggested walk, or opt for a day trip. These excursions are available to book as options on our website or contact us to add them to your arrangements. Please not that the Guided day tour of Skye is only bookable until mid-Oct due to weather conditions. The website www.travelinescotland.com is fantastic for researching train and bus timetables throughout Scotland. Your pre-departure information pack will also have handy hints and tips about journeys and transport services. Included in your arrangements are second class travel on ScotRail services as per your itinerary. These are 'Anytime' tickets which can be used at any time during the specified date of travel. you elsewhere, we will advise you of this before confirming your booking. transfers to and from an alternative overnight accommodation (additional cost payable for transfers). By Air: Both Edinburgh and Glasgow Airports are well-served by low-cost and scheduled airlines. From Edinburgh Airport you can travel by tram or airport shuttle bus to the city centre (approx. 30 mins). From Glasgow Buchanan St Bus station (city centre) an airport shuttle operates regularly to the airport (approx. 30 mins). Further information will be detailed in your pre-departure information pack. Included in your arrangements is a Spirit of Scotland Travelpass, which gives you four days of unlimited travel over eight consecutive days. Conditions apply. Full details will be given in your pre-departure information pack. Please see ‘not included’ section for travel that is not covered in the pass but suggested in your itinerary. With up to 12 miles of walking and the possibility to shorten the walks or take easier routes (or opt instead for a sightseeing day trip on a couple of occasions), you should have a good level of fitness to make the most of the itinerary. Getting out and about exploring Scotland on foot is incredibly rewarding and complements the sections of the trip where you'll be travelling by train. We suggest you book as soon as your plans are finalised as the region is extremely popular especially the Isle of Skye over the summer months (June to September). The accommodations mentioned on our website are those that we normally use and are subject to availability at the time of booking, however, we work with many excellent B&Bs and small hotels in the areas you'll be visiting, and we will always try and accommodate your plans. Traditionally May has always been the most popular time of year because the theory goes that the weather is better and the midges have not yet appeared. Although having walked in every summer month we believe any time between late May and October offers a wonderful experience. The trips (we did two, one in Scotland and one in Cornwall, in succession) were very well organized. The transportation connections were perfect, accommodation hosts were lovely people and the hiking instructions were accurate (for the most part). And on the two occasions we had to make our own arrangements (on arrival in Edinburgh and flying from Glasgow to Cornwall) everything dovetailed perfectly. The Mac's staff were always very helpful, from the start of planning and throughout the trip. Several of the hosts made very positive comments about Mac's. On top of it all, we enjoyed the sunniest, hottest weather in Scotland and Cornwall for many years. We would highly recommend these trips for people who like to walk and enjoy the challenge of finding your own way with maps and GPS. There were a couple of times when we had to really work at finding the route, and some of the paths were very overgrown from disuse, but on the whole the instructions and maps were good. The best part of this adventure is its variety of experiences. There is a lot of opportunity for hiking or sightseeing in both countryside and cities of all sizes. The hikes need further explanation and/or information because it's hard to choose between routes - none of which you have seen before. The accommodations and folks hosting were all very good and provided more information about local sights, etc. which enhanced the trip. There were some blips in the trip and I would definitely either take something out or add a down day in between - there was not always time to really see things worth seeing. I would recommend this trip with reservations and when I head back to Scotland I will use it as a sort of skeleton to take my own trip at my own pace. I regretted having to leave some places before I really got to explore them. This was a fabulous trip! Just the right mix of rail and hike. It was a great way to see the natural beauty of Scotland, especially the Isle of Skye! Everything ran smoothly and the accommodations were very nice. We loved this trip! All the accomodations were friendly, clean, and interesting. We loved taking trains, buses and a ferry and meeting people along the way. The Isle of Skye was the highlight of the trip and we did easily rent a car on one of our days there. For a trip like this you do need to be prepared for bad weather, but if you are the rain is not a problem. One of our best hikes began in a lovely misty rain and ended in a torrent, but the scenery was beautiful throughout. And when the sun comes out, it just makes you more happy. MacAdventures made everything very easy. I'd definitely recommend this trip to a friend and would do it again today if someone would care for the dogs....and do my job for the next week. When we did this trip we bookended it with Edinburgh for two nights each way and we enjoyed that also. The trip ends in Glasgow and we found that city worth a visit also! The Isle of Skye is breathtaking! Our first MacAdventures experience and it was wonderful. We loved the Isle of Skye and am so glad that we were able to see so much of it. bookings on armadale to Mallaig Fery were incorrect.Tickets booked in wrong direction with incorrect times consequently when we arrived in Armadale there was no ferry at that time.Also ferry booked for car when were doing rail and hike! ferry official sorted out the problem for us. generally breakfasts excellent except for fort william where we were given breakfast voucher for local supermarket cafe at 8am or cafe at 10 am.. the only early option for us was the early one ( with the long hike to do that day. }The food at morrisons is appalling! Pack light because there is a lot of moving of bags and most rooms were on the second floor. Have good raingear because you will most likely need it. Try the Haggis, it is better than it sounds. Mac's did a great job overall and I would not hesitate to book with them again. I would check directions, timetables, etc. from the US. Once they gave us driving directions from the south and we were walking from the west. 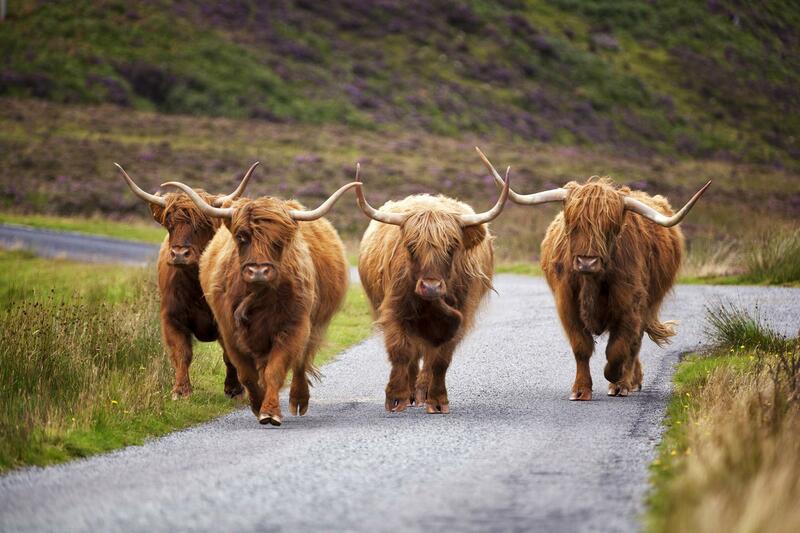 This was a great tour, we got a real taste of the highlands and it left us wanting more. The accommodations where amazing and everybody we met along the way, from the b&b hosts to the tour guide for our Isle of Skye Tour were fantastic. A good way to see a lot of Scotland in a short time period. Day 1: Edinburgh to Blair Atholl by train. 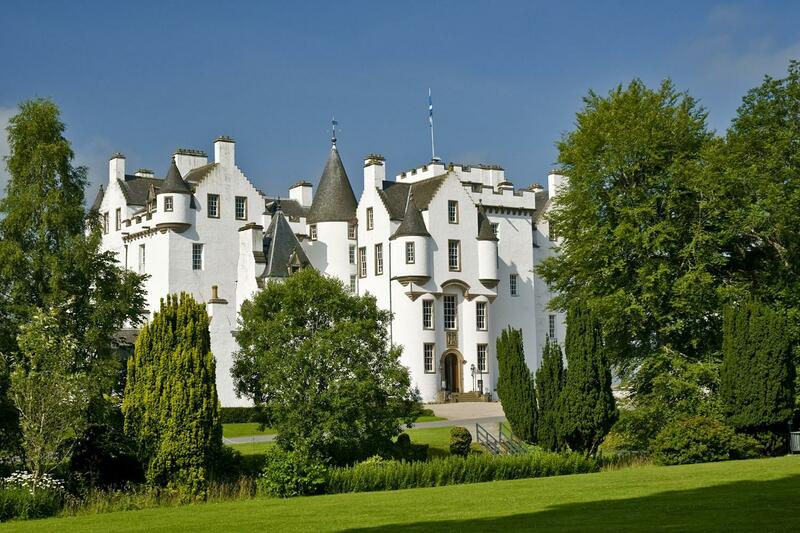 Day 2: Blair Atholl walks & Castle: up to 13m/21km. Day 3: Train to Inverness, optional visit to Loch Ness/Culloden Battlefield. Day 4: North Highland Line to Kyle of Lochalsh and bus to Portree. 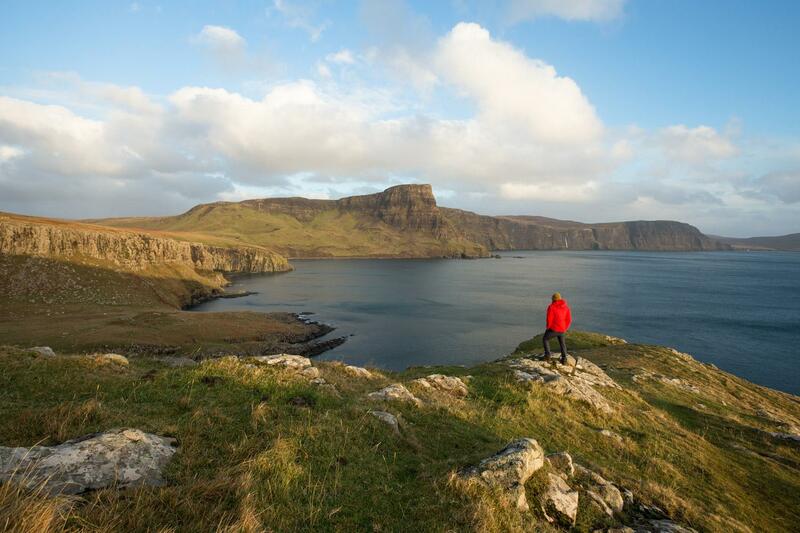 Day 5: The Storr, coastal walk to Portree (8m/13km) or optional day tour of Skye. Day 6: Travel to Mallaig, Jacobite steam train to Fort William. Day 7: Walk to Spean Bridge (Great Glen Way): 15m/24km. Day 8: West Highland Line to Glasgow, and onward travel. Travelling by train is both an easy and satisfying way to ensure you experience as many of Scotland’s natural highlights as possible. 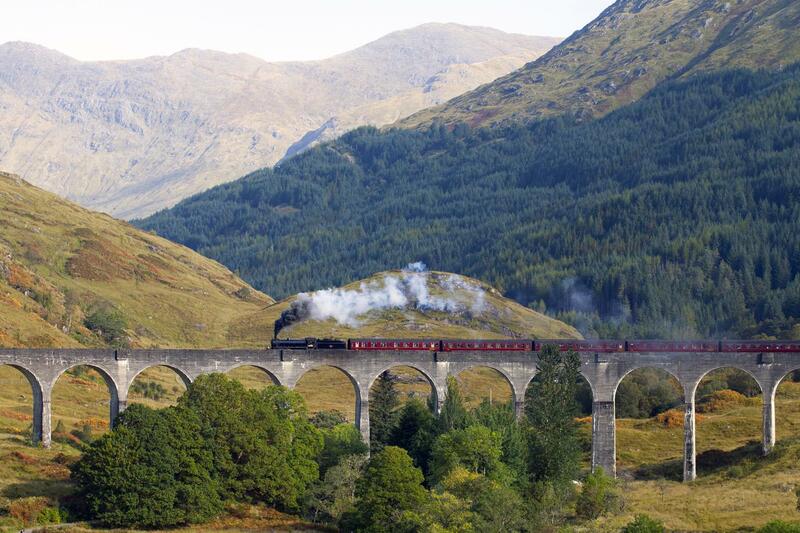 Two of Scotland’s top scenic rail journeys combine on this epic adventure by rail. This is perfect for walkers, with hikes through some of Britain’s most impressive scenery.